In the current digital age of audio, you often hear people – producers, mixing engineers or even artists – brag about a certain, pretty high track count. What’s the point of these often 100+ (and now even 200+) track mixes, and do we really need them? 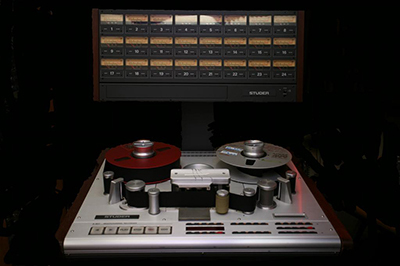 Back then, at the final bloom of the golden age of tape recording (and if someone still uses this technology, even today), you could sync up two 24 track tape machines, so if you really wanted to, you had 48 physical audio tracks available. In today’s DAWs, only the sky is the limit – and the hardware power of your computer, but it shouldn’t hit you as a surprise that you can use more than “only” 48 tracks – way more. Don’t let that information fool you though. When there were only a given number of tracks available, people were still smart and creative enough to get around the track count limitations, by bouncing all kinds of stuff down to the available tracks. So even though you physically only had 48 tracks, in the case of a high profile record, chances were high that many tracks were actually bounced tracks; tracks that carried certain printed effects, and a combination of different instruments and/or separately recorded or mixed song parts. Doing this way, you were sort of forced to mix on the fly, and you could also save up a good amount of space for additional tracks. There was of course some degradation and added noise, and all kinds of subtle things that can be annoying and dated, but often contribute to that certain analog charm as well. And here comes the main difference, and the main reason why we tend to end up using more tracks in a DAW: it’s because we can do the above described process without having to bounce down and thus commit all kinds of different stuff onto single tracks. If you check out some of the current pro DAW mixes, you will see that sometimes certain tracks contain only tiny little snippets of the music, and since we have all those snippets on separate tracks, we can process them separately as well with all kinds of effects and complex routings, without affecting any of the other tracks, if we choose so. Of course you could often get the same or at least very similar results using automation, but it would probably be harder on your system, and more complicated to setup and follow as well. So just look at it as a way of adaptation to today’s technology; something that’s got as much power in the right – highly creative – hands, as it is a hindrance in the wrong – insecure – ones. Because you should not use technology as an excuse to not have a complete, perfect vision of the final piece of music. If you surround yourself with a constantly growing amount of options, if you hesitate to commit anything, nothing will ever get settled and finished, and your art will suffer. Don’t let that happen.